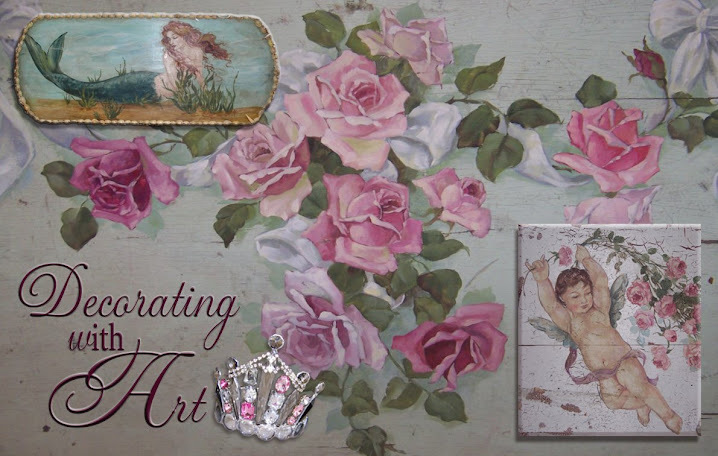 Decorating With Art: A Surprise in the Mail! 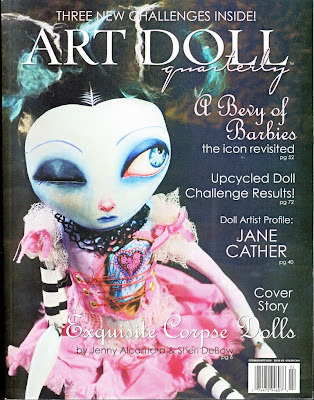 I received a delightful surprise in the mail the other day -- the latest issue of "Art Doll" magazine -- never in a million years thinking that the doll I had submitted would be featured. As you know by now, my love for mermaids inspired this altered art doll. 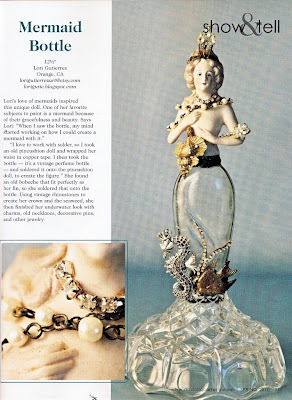 Using a pin-cushion doll, a perfume bottle, an old bobeche, and some jewelry, this mermaid was the result! I had so much fun creating her, that I just finished another altered art-doll of a different theme -- check her out below. How very exciting to be published. Beautiful creation!! YAY!!! I love knowing famous people! Congratulations! You are so deserving! See you Sunday-bring the mag so we can see too! You must have a great creative brain. This half doll is beautiful. I did some things with half doll cushions, but nothing as gorgeous and different as this. These are just beautiful. I especially love your mermaid.